Welcome back, folks! This week, we bring light, color, and culture to you straight from the heart of Texas, where scholar, artist, and producer Claudia Zapata has been keeping busy contributing to the art community! Check out our interview with this amazing Chicana below. 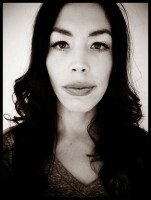 Third Woman Press Collective (TWPC): Hi Claudia! Thanks for chatting with us today, we appreciate you taking time out for us. Let’s start with some geography… where are you from? Are you living there now? Also, for some geography of the soul—how do you identify? Claudia Zapata (CZ): I was born in Waco, but grew up in Austin, Harlingen, and San Antonio. When I was in high school I lived in Argentina and Venezuela for study abroad programs so I feel like both of these countries, as well as Mexico, are a part of who I am as well. Currently, I am in Dallas, Texas, for a Ph.D. program in Art History at SMU [Southern Methodist University]. 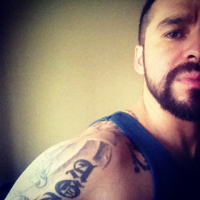 In terms of identities, I identify as a Queer Chicana. TWPC: Oh, the places you’ll go! That sounds like an exciting blend of places and cultures. Can you tell us about any organizations you’re a part of? What do you find keeps you busy? 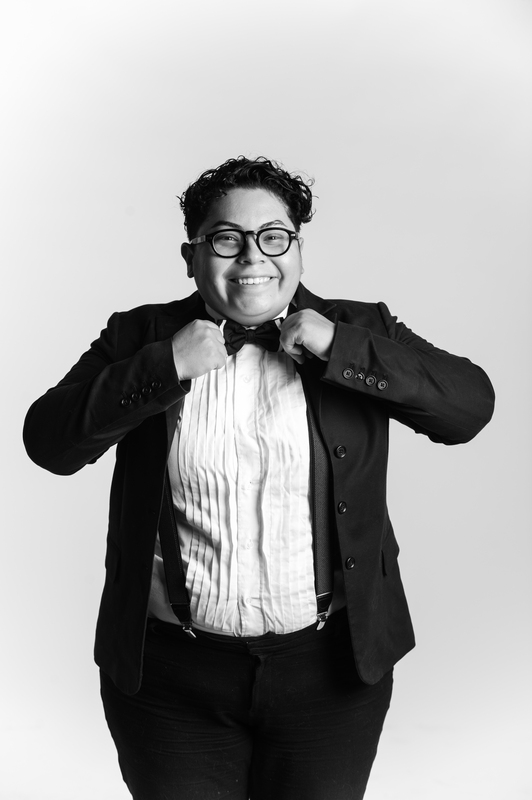 CZ: My life is in a bit of a transition from working at Austin’s Mexic-Arte Museum as the Curator of Exhibitions and Programs to back to school. Right now I am concentrating on the coursework for the Ph.D. program and still continuing my participation as one of the three managers of the Puro Chingón Collective, LLC. The Puro Chingón creative project began in 2012 with Claudia Aparicio-Gamundi, James Huizar, and myself. We specialize in zines, designer toys, murals, festival design, and happenings. TWPC: Very exciting! We wish the best of luck to you as you work towards getting your doctorate! Our Collective consists of some Ph.D. students, so we know first-hand what it’s like to be QPOC in academia, so remember que sí se puede! So, art history, huh? What’s the history of your art? How did you come to your process of creation? CZ: When I was young I lived in a created world of books, music, art, and skateboarding. The artistic endeavors ranged from drawing and primarily oil painting, but as I entered university my focus centered on art history and museums. It really was not until the creation of Puro Chingón that I really was producing artwork and felt comfortable to refer to myself as an artist. Even now I feel odd sometimes referencing my work as art. TWPC: You know, we’ve heard similar comments from other artists in past weeks. There is certainly an explicit discomfort that QPOC experience when settling into “artist” as an identity, and our ancestors have been artists in myriad ways. And we’ve absolutely been taught not to refer to our creations as “art.” Which is why we’re so happy that you’ve found yourself connecting more with your art. You are a talented artist, Claudia. No doubt! What is your favorite medium or material to work with? CZ: I enjoy color and the experimentation of it in various forms. As the Puro Chingón Collective developed the toy line, Chingolandia, I started to sculpt more and paint on the casted figures. As an art historian, there is a wide range of artists and genres that have influenced me, but quite honestly the biggest influences on my artwork were my fellow art collective members Claudia and James as well as my family. Claudia and James’s styles are saturated with references to Pop Art, sign-painting, typography, cartooning, animation, rural Texas iconography, and Mexican popular culture. Their basic elements of design within their visual repertoire helped my voice shape, artistically. For my master’s program at UT-Austin my specialization was Pre-Columbian art, specifically Classic Maya. This coupled with my figurines collected from travels around the world with my mother and family helped shape my interpretations of my unique artistic stylings. As of now I am primarily interested in what I call “alebrije action figures.” This is a term I made up for my toys that I design, highlighted most within the Chingolandia. The term alebrije originates from the Mexican papier–mâché artist Pedro Linares (1909-1992) and his dream-inspired three-dimensional sculptures. In present day, the common usage of the term alebrije is primarily associated with the tradition of Oaxacan wood carving in Mexico. Oaxaca artisan Manuel Jiménez (1919-2005), self-proclaimed inventor of Oaxacan woodcarvings and one of the most established and commercially successful woodcarvers of Arrazola, was at the forefront of popularizing this craft practice in Mexico. The making of alebrijes, therefore, is a relatively new craft practice that recalls and appropriates modified Pre-Hispanic iconography; the sculptures exist as three-dimensional experimentations of anthropomorphic figures and zoomorphism. TWPC: It’s amazing to hear how inspired you’ve been by those near and dear to you! And thank you for teaching us about alebrije. Those toys of yours sound like an interesting blend of art, history, and culture. Very cool. Do you have a favorite piece that you’ve created? If so, what is it? 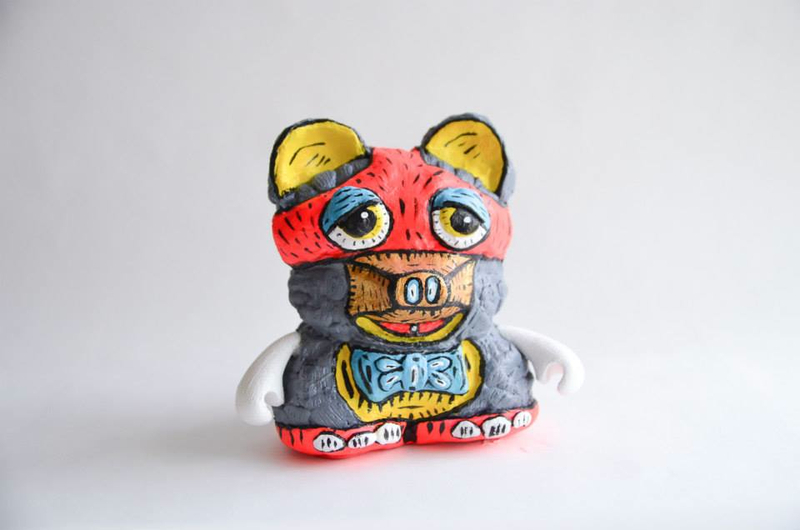 CZ: As of now, one of my favorite works that I have created would be the first Chingolandia resin toy, Mapache Bear. This is an ongoing series with my created character “Mapache Bear.” Half-raccoon, half-bear, this character began as an experiment in drawing animals to relay an extension of a bifurcated self-cultural identification of my experience as a Queer Chicana. Mapache Bear, by Claudia Zapata. TWPC: That’s beautiful, Claudia. Mapache Bear has won us over with its cute and cuddly little self. We recognize the name from the piece you contributed to the online auction curated by Chris Davila in December. Thank you so much! We love hearing more about the background behind that piece. Can you tell us what influenced your decision to help fundraise for Third Woman Press? Had you heard of TWP before? CZ: If Chris Davila asks me for something, I will do it. Her passion as well as mine is Chicano art, and, therefore she is my community. 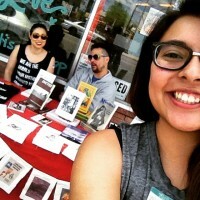 I remember checking out the Third Woman Press publication Chicana Lesbians: The Girls Our Mothers Warned Us About at the Benson at UT-Austin; it was like seeing your best friend in a class full of strangers. TWPC: We’re seriously melting from the feels! Again, thank you so much for your donation. We’re happy you were able to see yourself in the same print many of us see ourselves in! It’s one of the many reasons we’re working so hard to bring even more faces and friends into the picture with the revitalization of TWP! And you helped with that! Also, if you don’t already have a copy of Chicana Lesbians, we’re happy to send you one. Here’s a question we’ve been asking other artists since we started this series: in what ways do you think art can help feminism and vice versa? 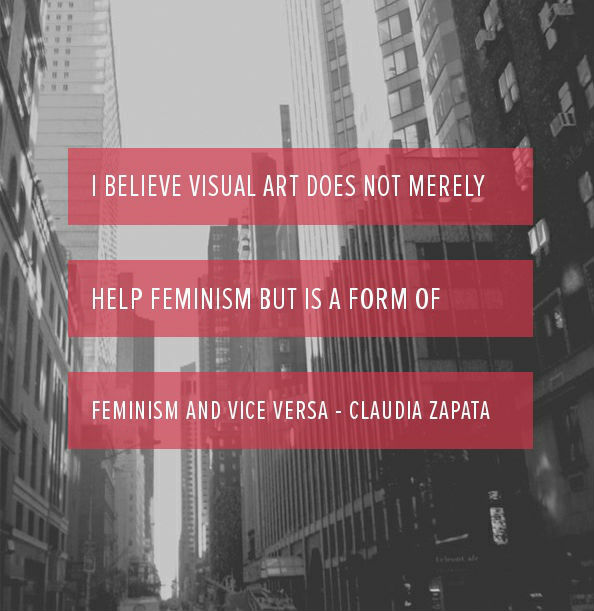 CZ: Depending on the context and of course the artist and art in question, I believe visual art does not merely help feminism but is a form of feminism and vice versa. The act of creating, displaying, and preserving artwork that can be deemed a feminist production is an extension of feminism. TWPC: Wonderfully said. We are our art, and anything we create is by default an extension of ourselves and what we stand for! What advice would you give to emerging feminist artists? CZ: Advice I would give to emerging feminist artists would be to experiment in every medium possible to find what works for your artistic production aspirations. Photograph these creations, processes, and experimentations. Answer for yourself: What is the goal? What are the objectives of these creations and what avenue do you want to either share, display, or sell these works? TWPC: That’s some great advice. Explore, experiment, document! Since you helped TWP, what is one thing you are excited about its revitalization or what you like to see TWP do? 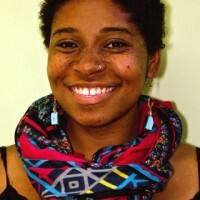 CZ: I am a bibliophile and zinester and am excited with new books and zines in general, but I am excited about more publications by women of color. TWPC: That’s the goal, Claudia! We’re super excited for the future. Here’s to new friends, new faces, and everlasting connections! Thank you so much for your time. A zillion thanks to Claudia Zapata and the best of luck to her as she pursues her Ph.D. We also want to send our love to Mapache Bear! 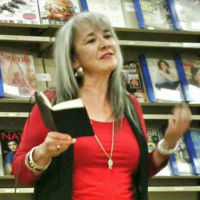 To see more of what Claudia’s up to and to explore her various works, check out her website, or you can reach her personally here. Don’t forget to check out the insanely amazing Puro Chingón Collective! Stay tuned for next week’s Feminist Fistbump!